"Have you ever seen fish cry?" 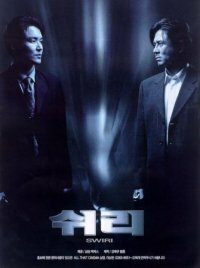 When special agent Ryu of South Korea's secret service fails to prevent the death of an arms smuggler-turned-informant, he instinctively suspects the involvement of Hee, an enigmatic sniper from a North Korean terrorist group. A skilled master of disguise, Hee has previously assassinated many government officials but since managed to disappear, escaping the unrelenting pursuit of South Korean agents.